David's Song Taken from the book cover: Annie only ever really loved two men in her life. One broke her heart, the other married her. Four children and fifteen years later, Annie’s marriage is in jeopardy. Money is tight and her husband questions the very foundation of their relationship. When Annie is unexpectedly given the opportunity to see the young man who broke her heart — a man who is now a megastar in the music industry — Annie is faced with choices. Choices that will determine what is of more value — a second chance at lost love and unfulfilled dreams or commitment, trust, and love built on years of experience. A psychologically subtle, yet compelling tale about how the instinct and need for love overcomes self-doubt and personal inadequacy. I'm not really sure exactly what to say about this book or how to say it. I'm sort of at a loss. I talked to my husband about this book after I read it because I was feeling so out of sorts. This book definitely evokes emotions. I felt for Annie but mostly I felt guilty for Annie. She didn't seem to feel much of that for herself, but I sure did. I felt guilty and disloyal and dirty even. On her behalf. I think all marriages have rough patches. It's working through those that makes you stronger. I know that isn't always the case, but in this case it was. Annie's husband may not have been the best communicator, but he was trying. Jeremy was faithful to Annie and tried to give Annie what he thought she wanted. He always felt second best, second choice and Annie pretty much proved that he was by her actions. I thought Annie was selfish. I didn't like her. It was like she just threw her whole marriage and children out the window without much thought at all when dream boat from the past walks in. Even if she didn't feel loved by her husband, what about her children? Was she really just going to up and leave for some far off destination for a romp with the old flame? Where does that leave her children? What does that tell them? Oh oy. I guess I'm just of a different mind and heart than Annie. I can't imagine renewing a relationship with someone when my marriage was still in place. Happy or not. I can see the temptation that Annie had. Of course I can. But that's when you run the other way until things with your marriage are resolved one way or another. Annie had those people reminding her of that but she selfishly chose differently. I guess this book just wasn't for me. Just the whole topic and viewpoint. Maybe I've just seen the repercussions of these type of decisions so many times that it hits too close to my heart. The book was well written. It obviously evoked real emotions from me which should be considered a positive. Author A.R. Talley April R Talley was born and raised in the Rubber City, Akron, Ohio in 1959. She is the youngest of six children. She attended Brigham Young University for a time, but withdrew to work fulltime for Osmond Productions in Orem, Utah as a member of The Osmond production staff. After a brief stint working in television, she returned to Akron to finish her education. She graduated with a Bachelor of Fine Arts in Mass Media Communications in 1981. April later worked as vice president and part owner of a dance and sportswear boutique. 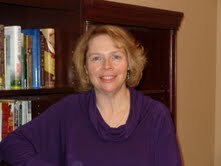 Married in 1982, she is the proud mother of seven children and is deeply involved in volunteer work for her church. April spends her time working on future projects, caring for home and family, and traveling. 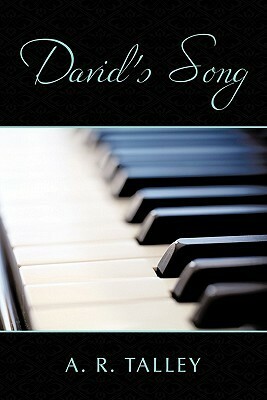 David’s Song is her debut novel and the first of a trilogy.